Perhaps I do not know a single person who would not love pizza. 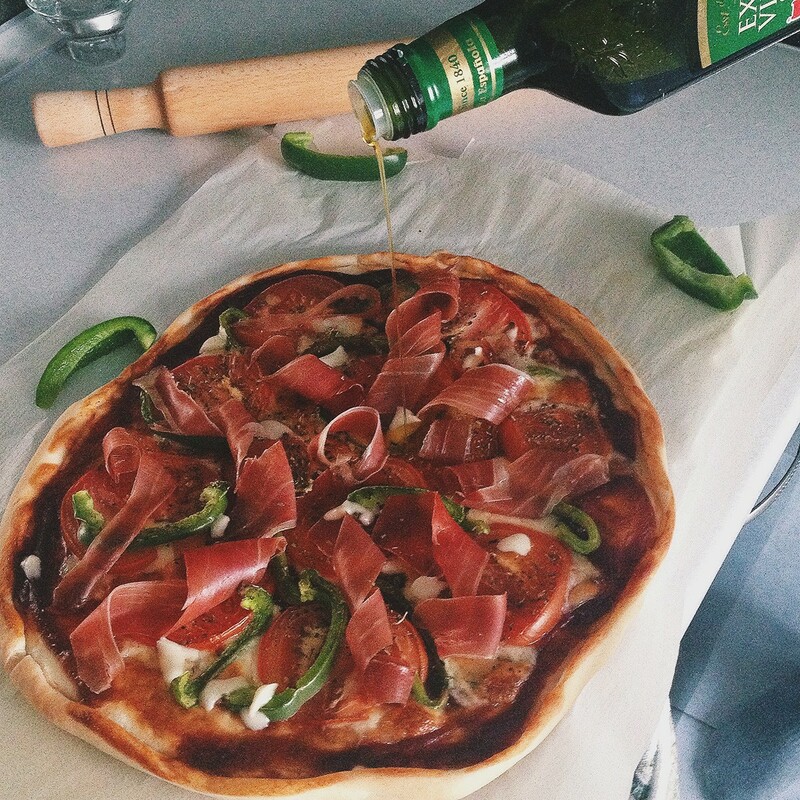 And if not all, many people want to learn the recipe of authentic Italian pizza. Specifically interested in all the dough - the recipe is the secret behind lock and key, in contrast to the filling, which is more or less clear. Хочу сразу положить конец всем спорам и домыслам на тему того, что приготовить настоящую пиццу очень сложно и «искусство» это под силу только поварам итальянских ресторанов. Вовсе нет! Разумеется, некоторая сноровка нужна (она придет к вам если не с первого раза, то со XNUMX-XNUMX, уверена:), но в целом, настоящая итальянская pizza - Not sophisticated refinement, and the dish is very simple, and most importantly - accessible to everyone. Once it was considered very poor dish, replacing both the first and the second. So now I will tell you how to cook a classic dough for a real Italian pizza. It is on I will focus the test because filling in your pizza can be any (the fact she and pizza - because this way you can humanely "attach" foods lying around in the fridge, breathed a second wind in them). salt - 1 incomplete teaspoon. Just I want to note that in order to make the dough for a real Italian pizza turned out to 100% correct use flour only the highest quality (Ideally - Italian meal 00 variety; if this is not possible to purchase, then take the "extra"). So, we dissolve yeast in 125 ml of warm water. There also add a little sugar - so the yeast will act quickly. As long as they can keep minutes 7-10 (after a specified time, the water becomes cloudy and a little froth). In the first minutes the dough will be slightly sticky (you can add a little flour if necessary), after it has become more smooth (after a minute or two), add the olive oil and continue to knead. Another important subtletyWhich necessarily must take into account when preparing authentic Italian pizza - this is what you need to carefully knead the dough. I do it somewhere minutes 10 (passing the dough between your fingers, folding in half, twisting in different directions). As a result, the dough is smooth and elastic. After put the dough in a bowl, cover with a damp towel and put the "rest" minute 30-40 in a warm place (in oven ajar or battery). It should be increased in size by about half. Then lay out the dough on the table (slightly floured) and start to roll out, or how to make real Italian chefs :), stretch arms to a circular shape. The thickness should be somewhere 5 mm. To make bumpers, zaschipnut need a little edge. Well, that's done our pizza dough. Before you put the filling, certainly the foundation promazhte abundant tomato sauce. Further - it is your imagination (cheese, ham / ham / bacon, tomatoes, seafood, herbs, fragrant pepper, chicken, mushrooms, or even pineapples :), experiment! Important! Heat oven to maximum! Pizza with parchment need to be transferred to the hot pan (it is better to hold 5-10 minutes in the oven). Baked real Italian pizza minimum time (5-7 minutes depending on the oven) at maximum temperature. And I advise on the bottom shelf. As soon as rosy crackling, remove! 2 scald tomatoes, remove the peel. Cut and send to stew in the pan (add a little water and olive oil if necessary). There also cut 1 bulb. Season with salt and pepper (if desired you can add Italian spices such as oregano or basil). After all the content utushitsya and become mushy, remove from heat and propyurirovat blender until smooth. PS For those who cares figure suggest trying pizza Whole-grain cereal: мягкая, с хрустящей корочкой и волнующим ароматом, она непременно удивит вас!